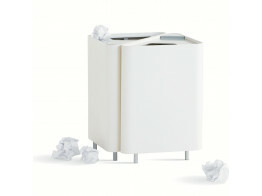 If you are looking for waste paper bins for the office or home use, look no further than Après Furniture. Thanks to over 20 years of industry knowledge and experience, we are able to offer a wide selection of waste paper bins including recycling bins for home, office recycling bins, a stainless steel bin range as well as office bins made from recycled materials and plastic waste bins. We supply modular waste bins which are configurable so that you can set up your own customisable recycling receptacles and separate waste into different compartments. We understand that office recycling has become increasingly important – indeed, sustainability and recycling compliance has become an essential part of many companies corporate responsibility policies. Waste recycling bins often do not complement existing office interiors and may dissuade the modern office from adopting recycling programs. Bisley LateralFile™ RecycleSpace Cupboards solve this dilemma by offering 3 x 50 litre recycling bins concealed within a single LateralFile™ cupboard. The end result is a clean side cupboard unit which is available in a range of colours, the ideal solution to unsightly bins everywhere! 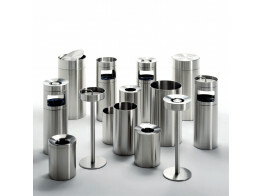 Some of our waste paper bins offer more than one function, providing a useful umbrella stand option for the office, as well as being a stainless steel bin. We are also able to supply wall mounted bins and steel bins suitable for designating outdoor smoking areas with integrated ashtrays. 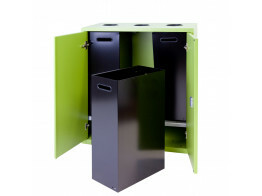 Why not bring green recycling full circle with Eco Waste Paper Bins from Après Furniture. Eco Waste Bins are stackable bins made from a mixture of recycled wood fibre and polypropylene, demonstrating our commitment to sustainable waste management through our use of materials. 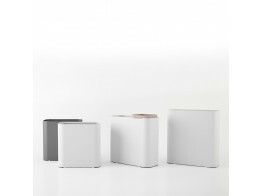 Waste Paper Bins and Recycling Container Solutions from Après Furniture. 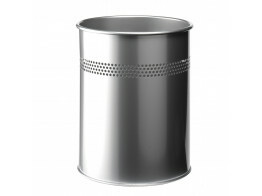 Drop Waste bin is a elegant steel bin with steel ring to avoid plastic bags spoiling its look. 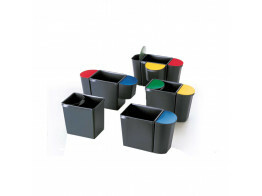 Anywhere Prism Waste Paper Bins are available in two sizes and can be placed together to form a cube. 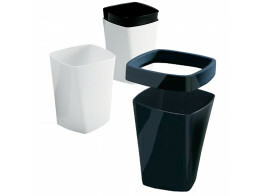 Birillo Waste Paper Bins are made of engineering polymer. Available in various finishes. 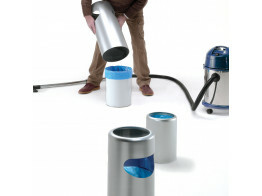 Colmo Waste Paper Bins are made of a single piece of steel, featuring floor-protection. Steel Waste Paper Bin with 15 litre capacity for the office. Available in black, light grey and anthracite. 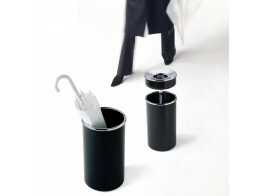 Swing Waste Bin has a 13.5ltr capacity and is made with glossy high-tech polymer.